Blackberry is finally transforming. After a long time, RIM team launched two good new phones on Wednesday. The list of phones launched is short yet powerful. BlackBerry Z10 and BlackBerry Q10 are the two phones that were released by Blackberry on Wednesday. Analyzing the features of BlackBerry Z10 and BlackBerry Q10, it seems like Blackberry is trying to get a better position in the smartphone segment. 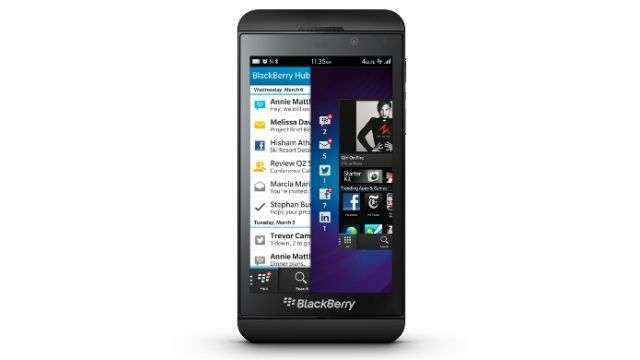 BlackBerry Z10 is a feature loaded phone and is completely touch screen. BlackBerry Q10 is akin to BlackBerry Z10, if you ignore a few differences. Here is a deep features’ review of BlackBerry Z10. P.S. – I am not one of those Die-Hard Blackberry phones’ lovers but I will try to do as much justice as possible with BlackBerry Z10. BlackBerry Z10 is powered by Blackberry 10 OS. Blackberry 10 OS is the latest generation operating system and is latest version of the exclusive BB OS series. The only reason why I don’t like the BB phones is because BB OS hasn’t got so much of apps to offer and it can’t be tweaked much. The small amount of apps supporting BB 10 OS would surely pose a challenge for the Blackberry team. If the Blackberry team wants this phone to successful, they should follow the footsteps of Nokia Lumia series with Windows Phone OS. Windows Phone OS is now completely revamped and they have hired a few professional programmers that are busy making more and more apps for Windows Phone OS. BlackBerry Z10 is mind blowing phone when it comes to processing. Blackberry Z10 has got a Dual-core 1.5 GHz Krait processor along with 2GB of RAM. Z10 is powered by Qualcomm MSM8960 Snapdragon chipset and Adreno 225 GPU. Accelerometer, gyro, proximity, compass etc are the kind of sensors that you will be finding installed on this phone. The CPU architecture of BB has always been good, BB phones generally don’t hang at all so I am hoping that BlackBerry Z10 will continue this tradition and offer some lighting fast processing. BlackBerry Z10 is offering an 8MP primary camera with single LED flash and autofocus. Other features are image stabilization, face detection, continuous autofocus etc. Image stabilization is really going to help you in clicking the images of moving objects. BlackBerry Z10 can record 1080p videos with 30FPS speed. BlackBerry Z10 has got a 2MP secondary camera that can record 720p videos with the same frame speed. BlackBerry Z10 is as good as the new Note 2 when it comes to the memory column. BlackBerry Z10 has got 16GB of internal memory that is expandable up to 64GB via microSD card. The sister phone of BlackBerry Z10, BlackBerry Q10 too has got the same memory features. 16GB of inbuilt memory is good. BlackBerry Z10 is a really sleek phone with 130 x 65.6 x 9 mm dimensions. The weight of the phone is quite light, just 137.5grams.This phone has got Capacitive touchscreen with 16M color support. The screen size of Blackberry Z10 is 4.2inches which makes it a really tall and trendy, of course. Blackberry Z10 has got 355ppi of pixel density and this is as good as any Apple or high end Samsung phone. Screen resolution of Blackberry Z10 is 768 x 1280 pixels and it also supports Multitouch. BlackBerry Z10 supports all kind of data connectivity features that it could. It supports 4G LTE network on a wide range of frequency bands, it supports micro-SIM, it supports GPRS, EDGE, Wi-Fi, HSDPA 21MBPS, HSUPA 5.76MBPS, LTE EV-DO, Bluetooth v4.0, NFC, microUSB v2.0 and last but not the least, it has got BBM 6 – the latest version of BBM. The only thing that we are going to miss on this phone is Hotspot connectivity. BlackBerry Z10 is of course one of the most powerful phones present out there but there’s no use of so much power when there’s so little that you can do. Blackberry has got powerful hardware configuration but there are only a few apps (as compared to Android and iOS) on BB Apps store that require high end configuration. BlackBerry Z10 is expected to be priced somewhere around Rs.40,000 in India.